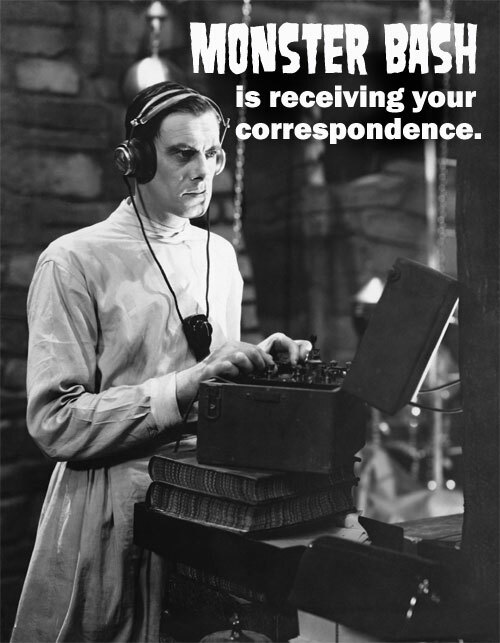 CREEPY CORRESPONDENCE ABOUT OUR PREVIOUS BASH! 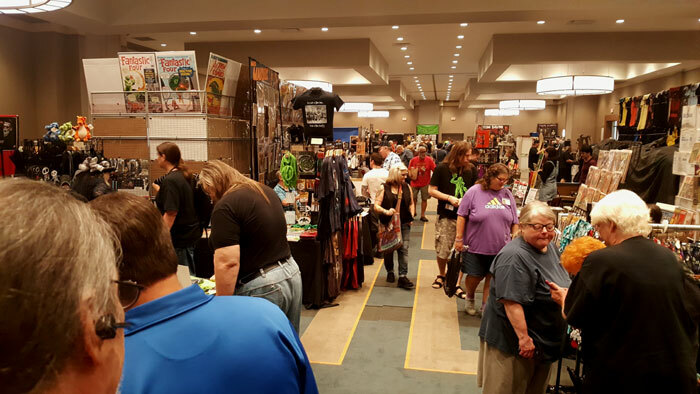 We can say great things about this year's guests, movies, talks, and dealer's room. 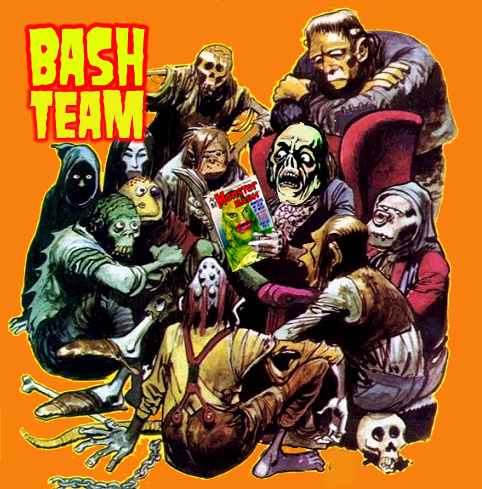 But what makes the Bash so very special is the people--you and your team who keep it running so smoothly, and the attendees who are almost without exception friendly and fun and oh so knowledgeable. Every year we leave utterly exhausted, and saying "can't wait until the next one!!" You and your team should be very proud. See you in October. 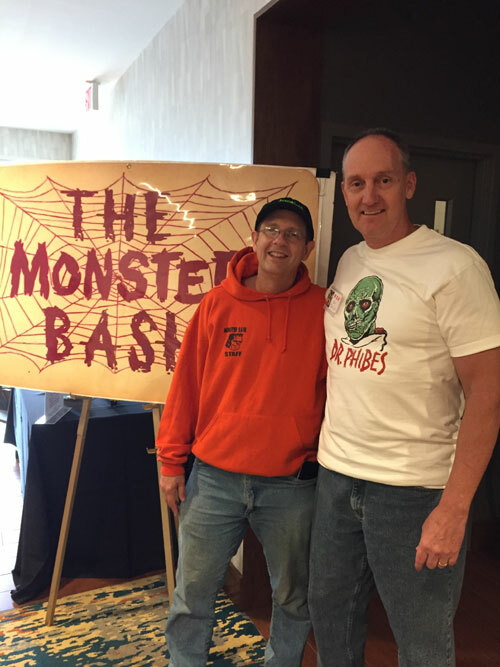 Above: Ron Adams and Dave Heywood at Monster Bash. The “Monster Bash” was so great but it went by so fast! That’s what several of us felt on Sunday Eve. Your Convention, truly, was one of the very best fan loving, staff loving Conventions I have ever been invited to. And to, seeing Mark again after quite a long while was a special treat. I was so grateful for Bernie. 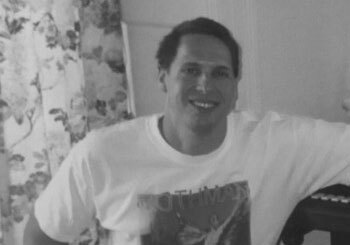 He and Susan were such “pals” to give me so much help and support. I kept telling them that I wanted to take them home with me. HA. Accommodations at the Hotel were really good and so was the food. The list could go on. 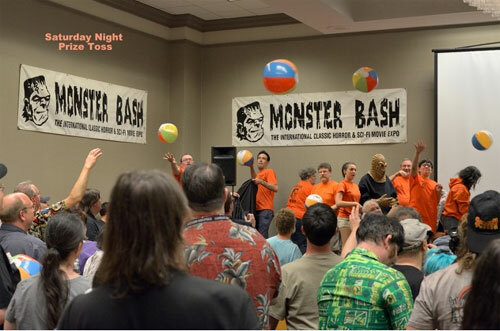 As you can gather, I loved being at the Monster Bash. You do know how to put on a great Convention, thank you again and again. My hope is that I can come back and join you all sometime in the future. I wish you both the best of health. Just a quick note to say thank you for another great Bash. I know all the hard work and planning you put into it. This was my 17th straight Bash and the first one where I was sick. Blech. I arrived on Thursday feeling under the weather, and left Monday morning feeling the same way. (By the time I got home Tuesday I'd pretty much lost my voice.) I was really frustrated because I ended up missing several events that I've never missed in the past: Mexican taco night, Festival of the New Wine, throwing out prizes, Zach Zito, etc. I like to take in as many events as I can and support everyone (many of them come in and support my movies), so I felt like I let a lot of Bashers down. I really wanted to stay up and see Joshua Kennedy's new short, but I just couldn't make it. Anyway, enough of my belly-aching. I still enjoyed being at the Bash! It's such a great time, being surrounded by like-minded friends for a whole weekend. Thanks for all your hard work. 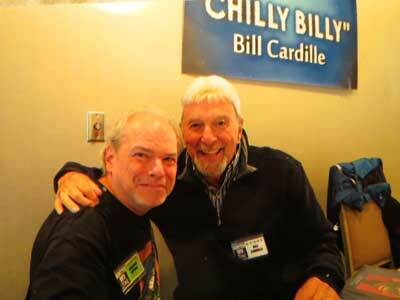 Above: Malcolm Gittins with "Chilly Billy" Cardille. Okay, Ready For October's Bash Now! Dear Ron, Just wanted to send a quick note thanking you and everyone for a great weekend! And to say thank you to every fan and monster kid who came to my table and bought my art, whether be a t-shirt, my new calendar and original paintings! I'm so grateful! 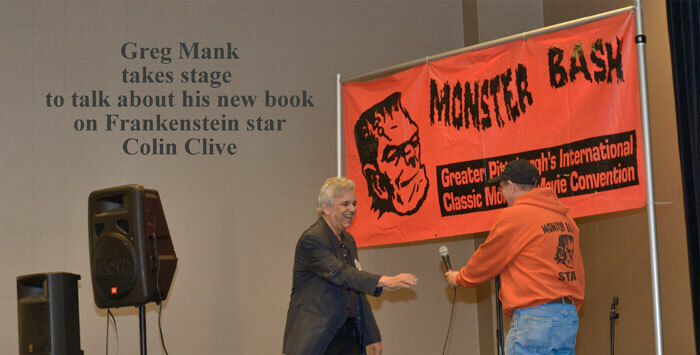 I loved talking about Chilly Billy, monsters and Famous Monsters. And a big thank you to Monster Kid Radio and me being his first interview! Already preparing for the October Bash! Thank you, thank you for another wonderful Monster Bash weekend. Every time we attend it’s like going home for a family reunion. Our thanks to all who participated and helped make the weekend memorable for all of us. And thank you for such a convenient room location for us. It was the best. Here’s hoping you all receive a welcomed rest after your hectic schedule. May you all enjoy your summer and we look forward to seeing you in the future. 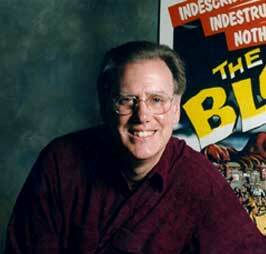 ***Note, one of our sly Monster Bash staffer (Kevin Slick) loves the movie CURSE OF THE DEMON. That movie features parchment "runes." Kevin made 100 of them, and stuck them in random program guides. Watch the movie again, if you dare, to see what they mean. Heh. Attending the Monster Bash last weekend was a total blast! 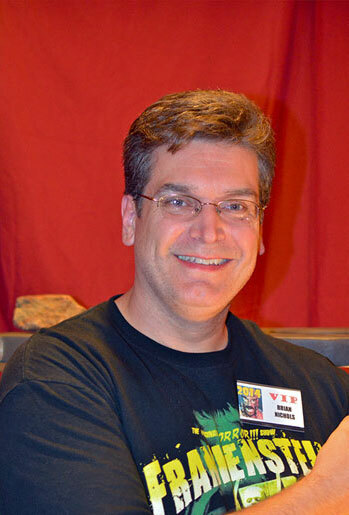 Thanks so much for all the hard work you put into the Bash, and keeping classic horror alive; I'm sure everyone appreciates it. It was a terrific Monster Bash! Thanks for everything! Barbara and I had a very good time. Congratulations again on the 2018 Monster Bash...really a wonderful show. 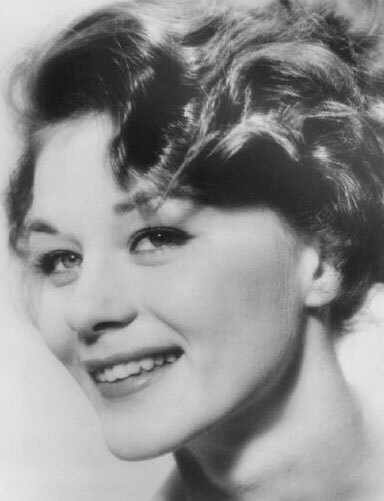 And many thanks again for all the kindnesses extended to Barbara and me. It has been a week since I got back to Iowa from Monster Bash. I have finally caught up on my sleep and mowing the lawn so I wanted to take a minute to tell you how much I enjoyed the Monster Bash again this year. When I attended my first Bash in 2002 I didn’t know what to expect and, for a while felt alone 800 miles from home. Thankfully, it didn’t take long to make friends with fellow monster and sci-fi fans which I lacked back in Iowa. That is why I keep coming back each year. The guests, movies and presentations were again top notch this year and I look forward to riding my Harley out to see you and your excellent staff at the June 2019 Monster Bash. Congratulations on another great Bash. My daughter and I have been attending for 15 years and are never disappointed.